HEAVY PARADISE, THE PARADISE OF MELODIC ROCK! 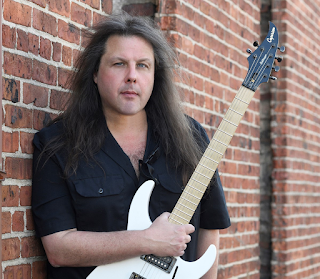 : Michael Romeo Releases Video For "Fear Of The Unknown"
Michael Romeo Releases Video For "Fear Of The Unknown"
Internationally acclaimed guitar hero Michael Romeo presents his brand new video for Fear Of The Unknown. The track is taken from the new album War Of The Worlds / Pt. 1, which is out July 27th via Music Theories Recordings/Mascot Label Group. The wildly ambitious 10-song disc sees the founder, chief songwriter and prime mover of the progressive titans Symphony X furthering his reputation as one of the world’s preeminent axe slingers and composers of adventurous, multi-faceted orchestral metal.